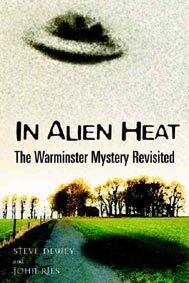 The UFO fever that gripped the British town of Warminster for about a decade is now largely forgotten. It was one of the largest UFO flaps ever to occur. The authors were themselves among the many skywatchers around Warminster and spent many nights on Cradle Hill, the centre of the phenomenon, watching and waiting for UFOs, but also watching and listening to the witnesses and ufologists. This book introduces the Warminster phenomenon to a new generation of readers. It contains a short history of the phenomenon, places it in its social and historical context, and examines the possible mechanisms that initiated and sustained this remarkable UFO flap. A remarkable new book...a riveting social document, objectively placing the phenomenon in its cultural and historical context...highly engaging. ...a considerable achievement, meticulously researched and documented, well-written, often humorous account of a fascinating piece of... ufological history. This is a fascinating and absorbing book which should be read by everyone who wants to know 'the truth' behind the UFO mystery. The story of the Warminster phenomenon as Dewey and Ries tell it is at once singular and weird ... and archetypical. This book should be read with care, patience and reflection, but most of all it it should be read. ... a good read for anybody interested in Warminster, UFOs or human behaviour.